Burswood Entertainment Complex offers the best nightlife entertainment you could find, but not the burlesque kind. Located on the Swan River, only minutes from Perth CBD, Burswood has a range of facilities and activities. Although not as big as it's sister, the Crown Casino in Melbourne, Burswood, with its two hotels, restaurant and bars, a theatre and of course its famous casino, welcomes over 20,000 people a year. Open every day of the week the casino offers a big poker room, which has 12 poker tables, a bar and very classy lounge. People, get ready to put on your poker faces. The other areas of the casino include a big stylish room with more than a hundred table games and a thousand gaming machines, for the non-poker fans to enjoy. Burswood has 5 bars, a lounge and a nightclub. The are so many, you wouldn't know where to start. Feeling Irish and want a nice cold beer? Do you prefer cocktails or wine? Or is there a footy match you don't want to miss? Well, whatever your excuse is, you can be sure to find somewhere at Burswood that will suit your mood. My have two favorite places there. First, the Minq. It's a very class and stylish lounge, a bit more relaxed than the other places. 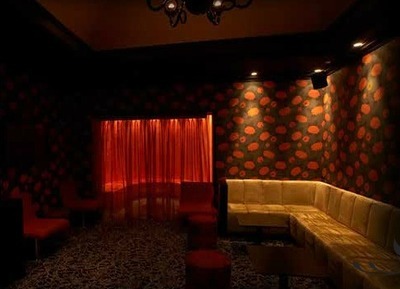 There you can enjoy wine, cocktails, in a chilled atmosphere with good music, sitting in nice comfy sofas. Last but not least, the Eve. 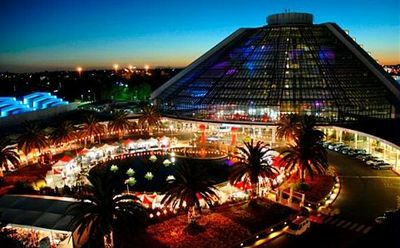 Burswood's famous nightclub. For those party people who just like dancing, there are DJs playing almost every night. Entry is usually free before 10pm. So, get this party started! This large enclosed venue is used for entertaining, sporting and special events. It has more than 2000 seats and holds a minimum of 10 concerts a year. 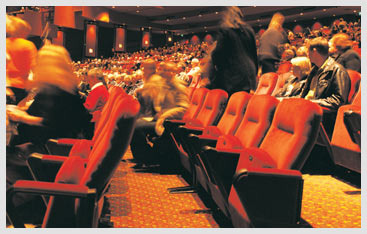 This theatre has been host for many famous shows and musical, such as Mama Mia and the Swan Lake on Ice. And for the legendary Elton John fans, he is set to play there in December this year. Not only does Burswood have those many bars but it also has a number of restaurants. Whether you're looking for fine dinning or a quick meal, Burswood has it all. There are Japanese, Italian and Mediterranean restaurants along with a bar grill and café. I told you, something for everyone. I've only been to one of the restaurants in Burswood, Cavers. It was for a birthday dinner. Really good food and not that expensive. There are two hotels at Burswood. The most popular one would be The Intercontinental, but you also have the Holiday Inn, which I have heard is very nice. The Intercontinental has a day spa, fitness and recreation centre. Whereas the Holiday Inn has a more relaxed atmosphere and doesn't have as many facilities. It just depends what you are looking for. Why? For the Perth's best nightlife entertainment.